The Australian Bee Gees Show - A Tribute to the Bee Gees brings the music of the famous Gibb brothers to the Excalibur on the Las Vegas Strip. | 7 p.m. Saturday-Thursday. Best Price Guarantee | Vegas.com: If you purchase your tickets via the link provided on this page and find a better price for The Australian Bee Gees Show - A Tribute to the Bee Gees tickets for the seats purchased, Vegas.com will match the competitor's price and refund the difference. That’s customer care you can count on. It's time to get down because The Australian Bee Gees Show -- A tribute to the Bee Gees, is hittin' the Vegas stage. 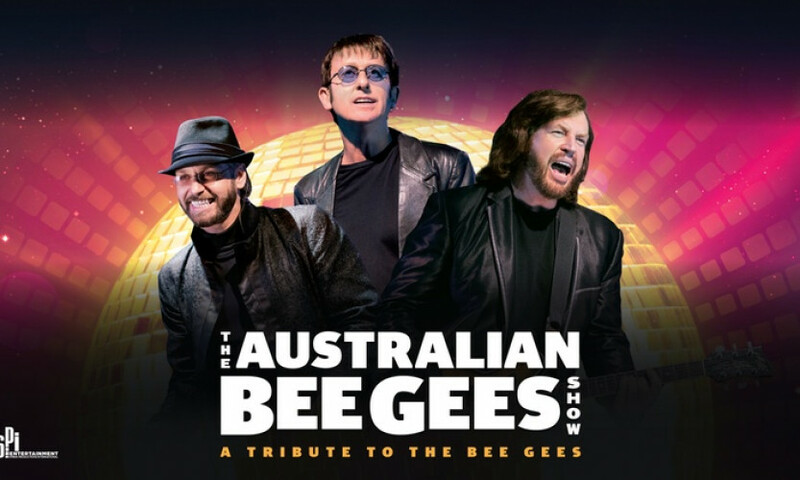 Reviving the music of the famous Gibb brothers, The Austrain Bee Gees Show has performed to more than one million people in sold out theaters and concert halls in more than 40 countries. The group's unbelievable resemblance to the Bee Gees and their ability to emulate the Bee Gees' legendary sound has helped garner international dap from media and show goers alike. This 75-minute multimedia concert event features state-of-the-art sound, superb lighting and giant screens with stunning graphics. This show is a definitive live celebration of five decades of memorable music written by the Gibb brothers, one of the most successful and adored acts in musical history. The Australian Bee Gees show is widely recognized as the world's leading Bee Gees tribute show.